If you are in a competitive niche, in order to gain maximum exposure and top positions in search results you need content, period. I create content for your website. The more content you have the better you will show up in search. I have a few thousand examples of this; there is absolutely no denying it. Either drop what you’re doing and call me now, or better yet, please read through the rest of this page, and then contact me. Why your website needs content. How content affects your website’s visibility in search. Can you create your own content? How to choose a copywriter. How frequent content affects your website. Search engines want one thing. They’ve only ever wanted one thing. They’ll only ever want one thing. I understand this as I was online before there were search engines and the Internet only had 10 websites. So what is it that they want? Search engines want to connect people with the information that they’re looking for. Do they want to be tricked? No. Do they want to know what the latest expert has to say about back links? No. They want to deliver great results. They want to be the best. If they are good at what they do, more people will use their search engine and the more money they’ll make on ads. Money, after all, is what motivates them to deliver, and they’re required to try and earn as much of it as possible for their shareholders. If you pull out your phone and google how to change the sparkplugs on a 1984 Firebird, that is what you want results for. Especially if it is 7PM and you’re sitting in the driveway, it is getting dark out, and you can’t get the plug out of cylinder #8. The plug is very easy to get to if you jack up the front passenger wheel and reach in from underneath, but who knows that without googling it? The last thing someone wants to see when they search for this information is spam, a lizard, or something irrelevant. Same goes for when you want to find the nearest pizza delivery service, where to go if you’ve just broken your leg, when you want to find someone to fix your computer, or when you need to buy flowers, or a wedding dress, Lasik eye surgery, or find airplane tickets. Content opens doors to your business. I have amazing examples of this. 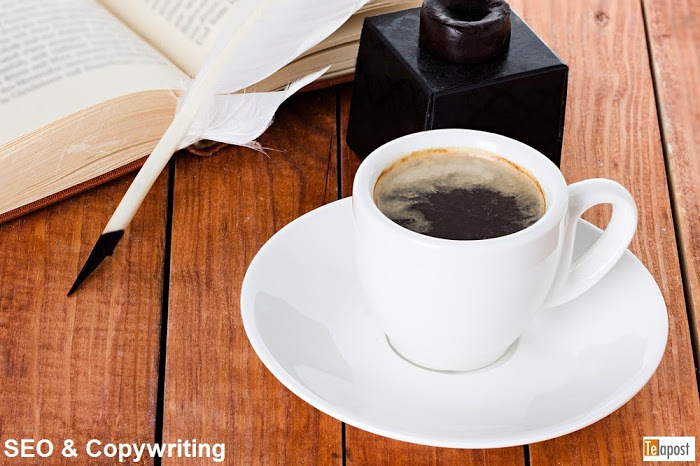 Copywriting is by far the best way to gain exposure for your business, and gain #1 positions. There are no longer good ways to “trick Google”. I’ve studied every black hat and white hat trick in the book. My previous company, which I sold in 2012, had so much content online, not only were we on the first page of Google, we were in #1 positions for 10, 12, 15 years for some terms, and terms we never even targeted, eventually taking over page 1 positions for thousands of search terms. That domain has gone on to have a gigantic Internet presence. It was just a 1400sf repair shop that specialized in laptop repair. We targeted Cary, NC but the word got out so well, in 2010 half of our clients lived in California and we had a client base as far away as Puerto Rico, Guam, and Japan. It was all in the content. We created content about laptop repair. How they broke, why they broke, which models had flaws, how we fixed them. Dogs tripped over cords, babies ripped keys off, screens needed to be replaced, sand got in them, hinges cracked, power jacks broke, viruses infected them, batteries died, etc, you name it. We went on to create content based on the machines we repaired, and repair even more machines based around the content we created. Government agencies, police departments, other repair facilities all came to us. We were an authority. The same copywriting methods can be used for any business. When I look at a company, I see 1,000 new pieces of content that can be created, and then I do keyword research and look at the terms people are actually searching for. The results always surprise the business owner. I’ve seen personal injury attorneys hammering away at personal injury when only 20 people were searching for that term, yet 3,000 wanted to know how to get a settlement for being in a car accident. I’ve seen optometrists pushing optometry when people wanted to know where the nearest eye doctor was or how to get a stigmatism diagnosed. The list goes on. In my spare time, I’ve personally met with over a thousand business owners and diagnosed thousands of websites out of my own curiosity to see how their content, or lack of content, has affected where their website shows up in search. And no, not every piece of content should revolve around keyword research- it just needs to be about your business; do not over-complicate it! Let’s say you’re a personal injury attorney. If you and 25 other attorneys in your area target “personal injury attorney Houston Texas”, let’s face it, only so many practices will show up on the first page no matter how hard you try. You can advertise the services via Adwords and PPC (pay per click) although you will then just be in a bidding war with the competition and many words can run $20, $50, $200 per click. That gets expensive. Now if you start creating content and blogging about people’s injuries you can start to show up much better. I refuse to disclose all of my “secrets” here although one common sense strategy I use is to target things the others have missed. This is done with some keyword research and checking out the competition. Maybe it will be bicycle accidents or finger amputations. Sometimes I start creating content around those and gradually work my way in to the more competitive terms. Another example that I ran into the laptop repair world is- everyone wanted to target “laptop repair”. Meanwhile they had missed things people were actually looking for like “screen replacement” “notebook fix” “keyboard replacement”, etc. So in short, the more topics you cover the more visibility you will get. My old laptop repair store ended up showing up for phrases that I never once targeted. I would be happy to go over this with you more on the phone. The more content you have on a site directly impacts the way it shows up in search. I have seen this time and time again. Let’s say you’re an optometrist, and your blog thoroughly covers cases you’ve had. Presbyopia, dry eyes, cataracts, glaucoma, retinal disorders, etc. The search engines start to say “hey, this is definitely an optometrist’s website” and reward it accordingly. So the benefits are 2 fold. Not only can you show up in people’s searches for what clients are searching for, every site I’ve seen becomes known for having tons of useful content, then the next thing you know, your site starts to rank well for the most competitive terms out there. Gone are the days of simply slapping up a site that says copywriting and content creation, Raleigh NC and ranking overnight for it. Some of the best content creators and copywriters I have ever met in my life are business owners. They do a phenomenal job at creating content because they have a passion for their product and thoroughly understand it. They are, or become, an expert. I post about these businesses on Google+ and draw attention and praise to them all the time with my Suggested Business List. However, the vast majority of the time when I look at a business’s Internet presence I can find room for improvement and it is usually glaringly obvious to me. Many professionals simply do not have the time to do it on their own, or they’re simply out of date. A good content writer is typically online all day long and aware of what is trending, involved in online communities and knows of create ways to share their content. (Content marketing is a whole new ballgame which I can discuss further with you if you’d like.) The primary reason for creating content is to show up in search. Please note, some people would disagree with that statement, but no business owner can disagree with: at the end of the day it is about getting people in your virtual door that are looking for your product or service right now. Of course, content marketing can be great, too. Even if someone isn’t buying immediately, if they pin something on Pinterest they will come back and buy it later at some point. But again, there are 1000 angles to market content and I can go over that on the phone with you. If you need a great copywriter do not hesitate to contact me. There are plenty of niches I am not good at, and in those cases I would refer you to someone. I do not get a commission for this I just genuinely want to see companies placed with someone who meets their needs. I have friends in the business and there are people I follow which I have never even uttered a word to that I can direct you to. Of course, I can creatively come up with all kinds of content for a variety of verticals. During your search for a good copywriter you will find what I call the 4 types of copywriters. Great. A great content creator researches the business and understands the most valuable search terms, and also is aware of what all competition is doing. They come up with content that is going to open more doors to the business. They have some degree of SEO knowledge and track which of their articles do good, which do not do so good, what is trending, etc. They are typically self employed and have a genuine interest in learning about new things and talking about them. Some are so busy creating content for clients, they neglect their own site! Good. There aren’t many good ones around, but they’d be lacking some of what it takes to be a great content creator. Or maybe they’re in that stage of becoming great. Everyone starts somewhere and good people are always improving themselves. Bad. This could be someone in house, the business owner, or a company you hired, but they’re just plain bad at it. They try but at the end of the day they created content that nobody will ever see. Not only are they costing you money, they’re not pulling their own weight, and even worse, they’re not making you money. In business, whatever is not making you money is costing you money. There are also sites where you can purchase content from people overseas. These are typically “pay per word” articles and filled with fluff or contain several grammar errors. Terrible. It is amazing how many firms in Raleigh have high commission salespeople running around that offer content creation services or copywriting that go on to preach about how great content is and then they under deliver. Some even say they have these great in house people, and it may even be a real employee, but then they just get the most generic garbage plopped together from someone that lives on the other side of the planet, or they just reword Wikipedia entries, or throw useless distractions up on your Facebook wall, knowing darn well it isn’t going to help. To me this is a misrepresentation. The more often you put content out the more often your site gets indexed by the search engines. If you put milk out for a stray cat the cat will keep coming around, place a higher value on your real estate and come around looking for fresh milk. The same thing happens with your website and fresh content. Does this affect search rankings? Sure. I have never done an in depth study although I have indeed ranked many websites and I believe it is a factor. Even if it is not, it doesn’t matter, because there is always room for more, fresh content. If you leave the cat no milk, or old milk, he’ll just find a new source. There are many different types of content, so please allow me to elaborate. Copywriting: This is writing copy (or text) for advertising purposes. The text is also in place to help assist people in buying a product. Articles are typically placed in a company blog. Content writing: A lot of copywriters prefer to be called content writers. This is because not ALL of their content has to be promotional. For example, content can just be informative or about a related current event. The great thing about informative content is that it gets people to your website, you don’t have to hype your products and services in every. single. post. Articles are typically placed in a company blog. YouTube video: Videos shared on YouTube are great content because they can be displayed on your YouTube Channel, shared on social media, and also embedded on to your website. They also show up well in search for some topics. YouTube is the #2 search engine in the world and should not be ignored. Hangouts on Air (HOAs): These are public hangouts which are broadcast live on YouTube. Typically it involves 2 (or more) people having a video chat. The video then becomes a YouTube video when it is over! So not only can people watch it live, they can submit questions while it is live (if desired) and then when it is over it is permanent content getting all of the benefits of a YouTube video. I interview people on Hangouts on Air. I get overly excited and have a nasally voice and am no Katie Courik, but people have loved them so far, and I do know several other people that can provide HOAs or even specialize in them. I am just pointing out here that they are great content. I am not a salesman. If you want someone to put on an Italian suit and take you out to dinner and sweet talk you, I am not your guy – I don’t have time for that and am a terrible salesperson in the first place. Fortunately, I have a product that sells itself. I can talk for hours about how content has helped me make money. My last business brought in over $5 million dollars from organic search results. If I can not help you I am not going to try to “win your business” I will simply forward you to someone that can help. I also do not help swindlers and spammers, I work exclusively with one niche per area, and only help those who provide a genuine product or service that people need or want.